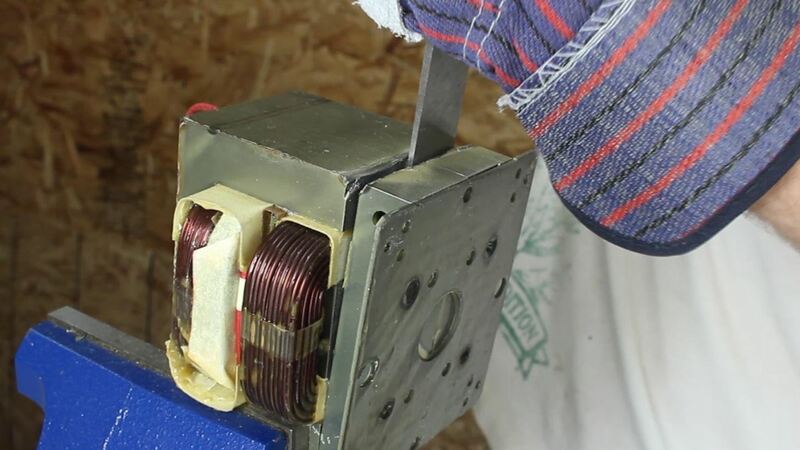 In this project, you'll learn step by step how to modify a microwave oven transformer into a high-current device that can pump out 800 amps of electrical current, which is enough amperage to melt metal. 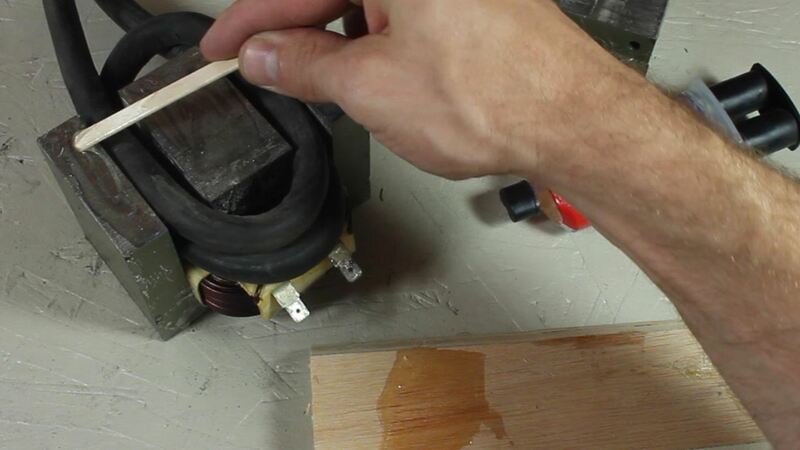 If you liked the Metal Melter you saw in my previous project, here's how you can make your own! You can find them in various places, like on free classified ads, or in your neighbors garbage can, like where I found this one. 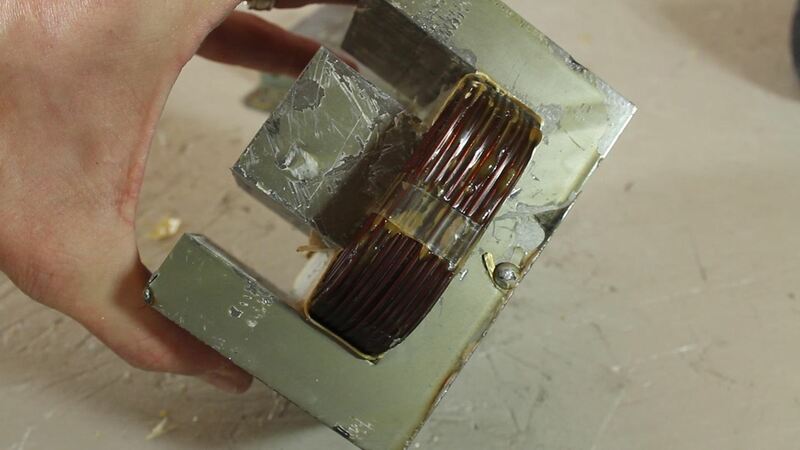 The transformer (MOT) is the piece that you'll need, and it looks like this. 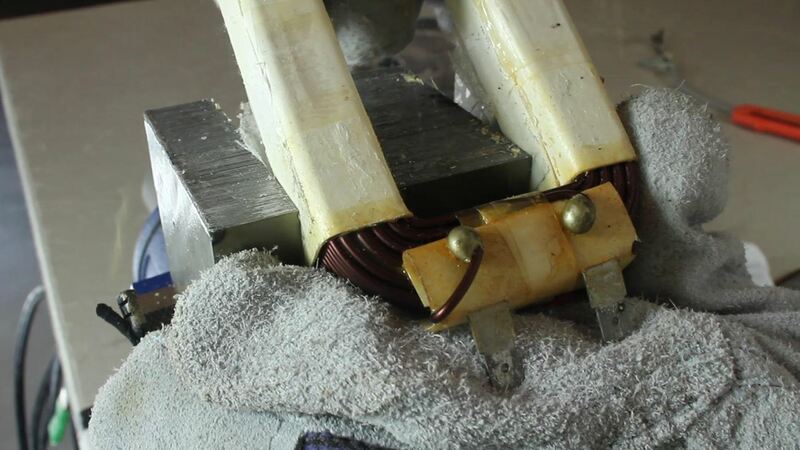 The transformer core is only held together by two very thin welds, as seen on the side of this one. 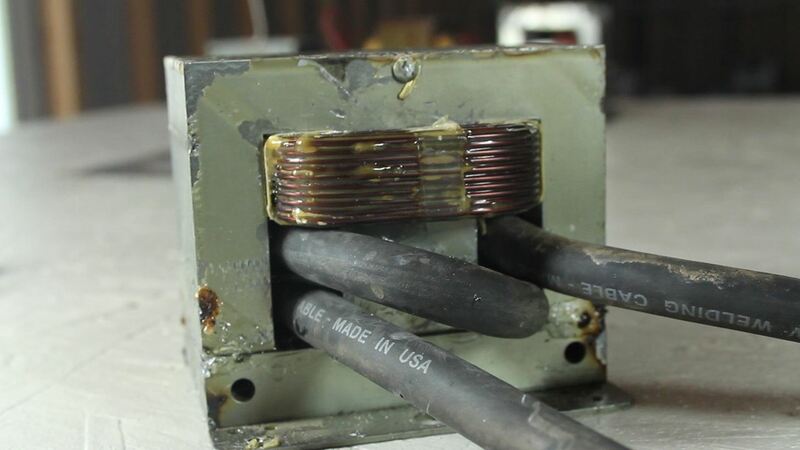 Be very careful taking the primary coil out, because you'll need it again. 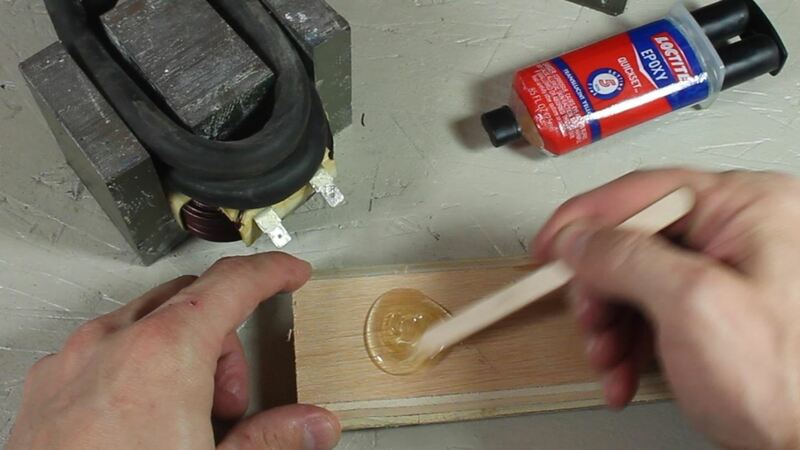 Make sure not to bend, break, or scratch it in any way. 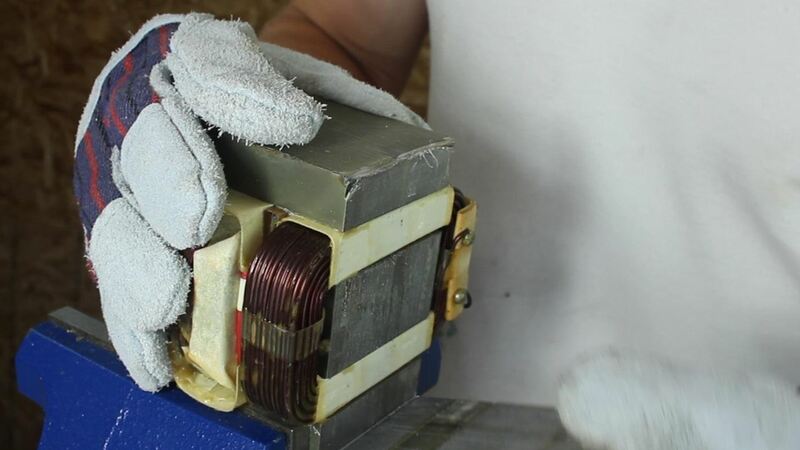 NOTE: The secondary coil is harder to get out, and may be damaged by the time you do, but that's okay, because we don't need it for this project. 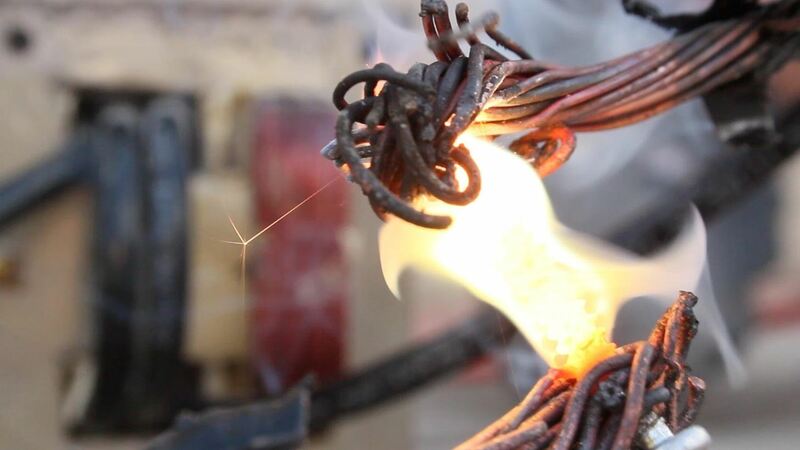 However, if you can salvage it intact, it may be a source of thin gauge enameled copper wire for future projects. 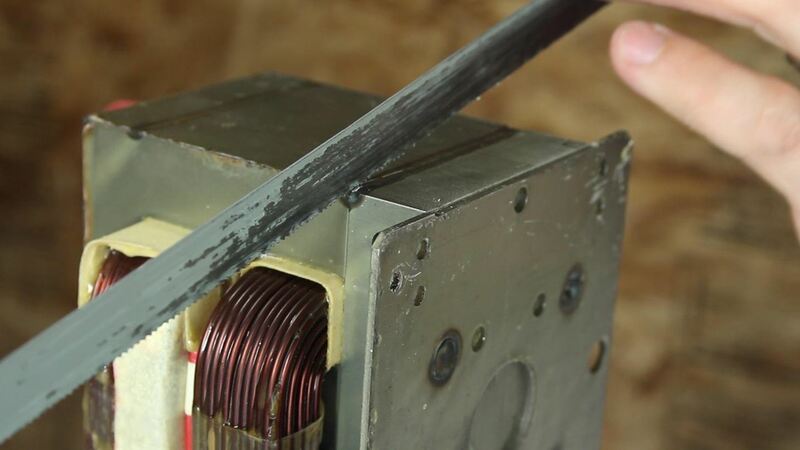 Okay, your transformer core should now be bare. 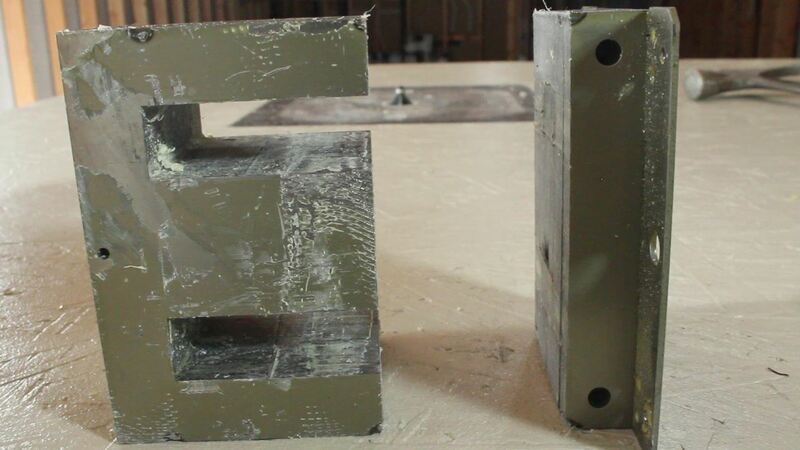 These are the "E" and "I" sections of the core, and have been scraped with a chisel to remove glue and paper stuck to the insides. 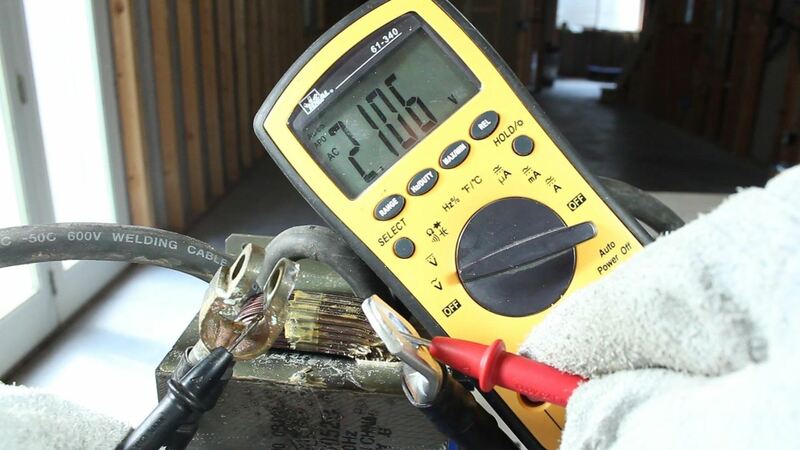 The output voltage on this is just barely over 2 volts, but the amps are closer to 800! That's enough current to melt iron nails and steel bolts on contact! 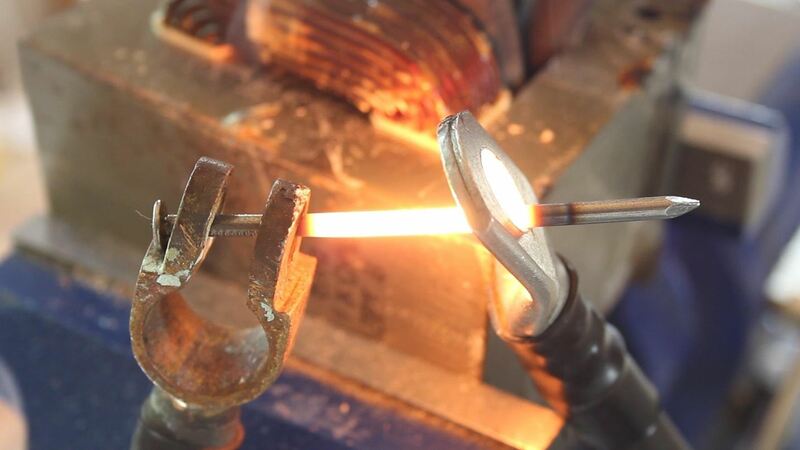 I found a practical use for The Metal Melter, in making a Spot Welder like this one. 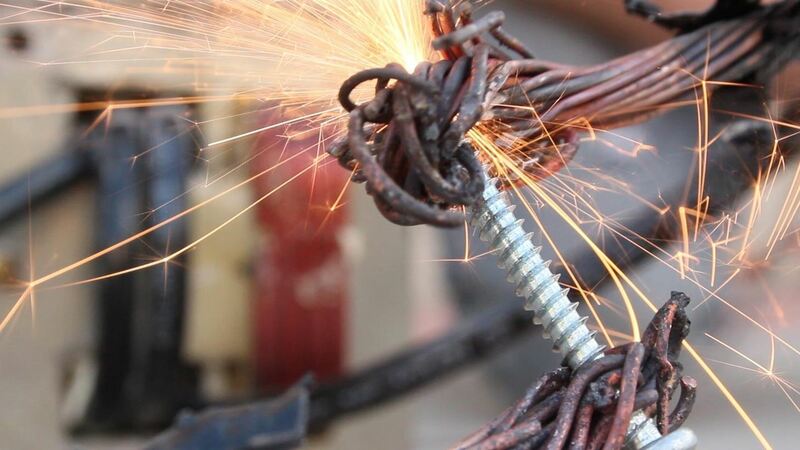 The electrical current can be concentrated to a single point, to fuse thin sheets of metal together. 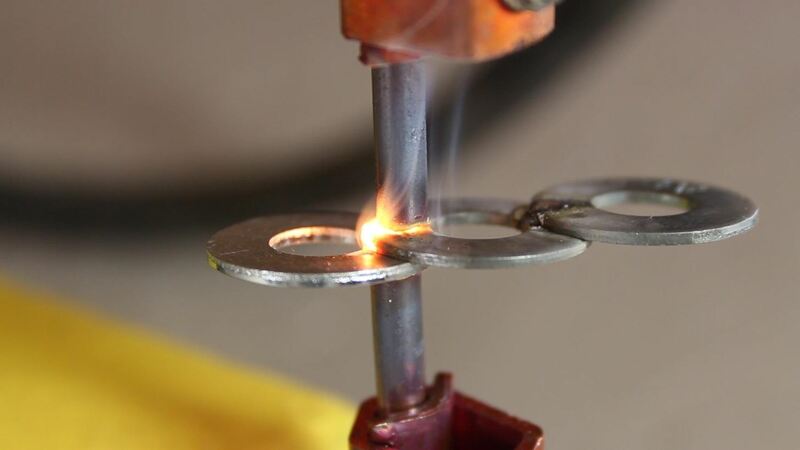 This is known as a "spot weld". 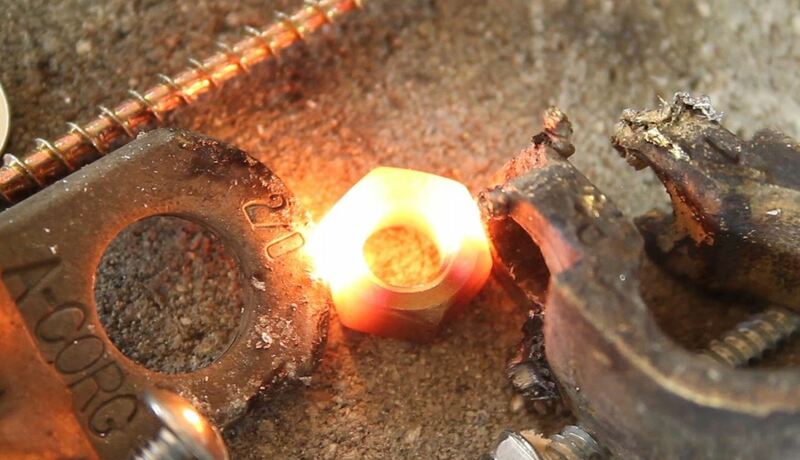 Now you know how to make The Metal Melter! 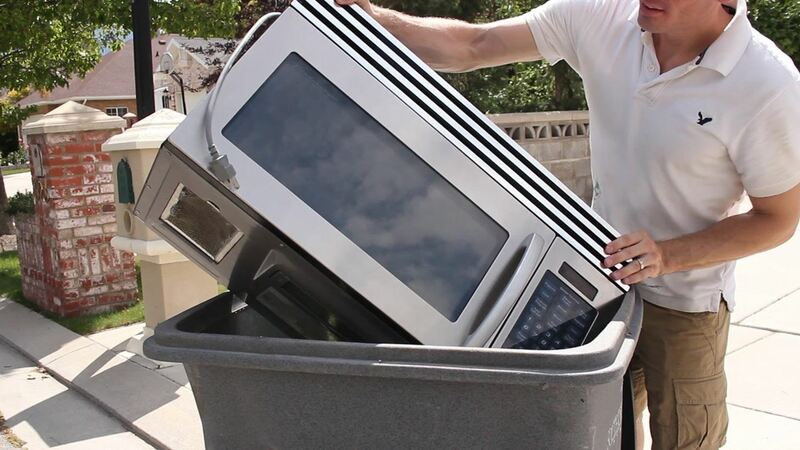 So, errr, how do you safely take apart a microwave? I believe this can help you out. It doesn't! All it says is "I discharged the parts with a dangerous charge" or somesuch. How is that done, and which parts are dangerous? It's pretty straight forward. 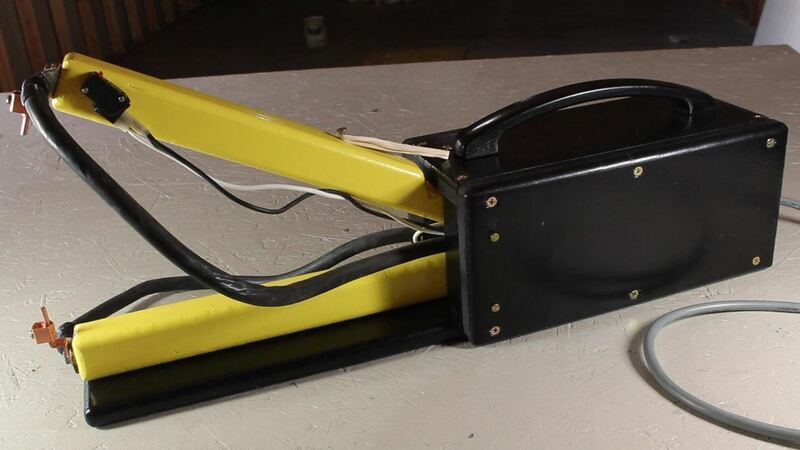 The only thing that stays dangerous when the device is turned off is the capacitor. If you don't know what this is, it looks like a can with two terminals on the top. 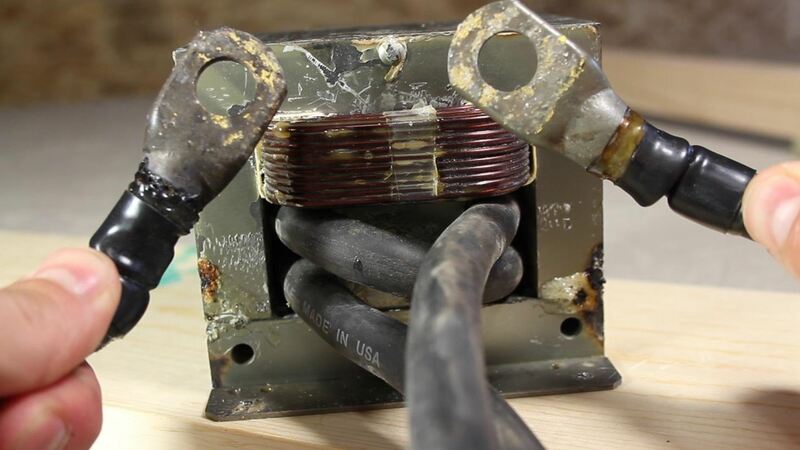 The HV transformer leads into it. All you must do is take two screwdrivers with insulated handles and touch both terminals with the screwdrivers. Then cross the screwdrivers so that the terminals are being shorted out. 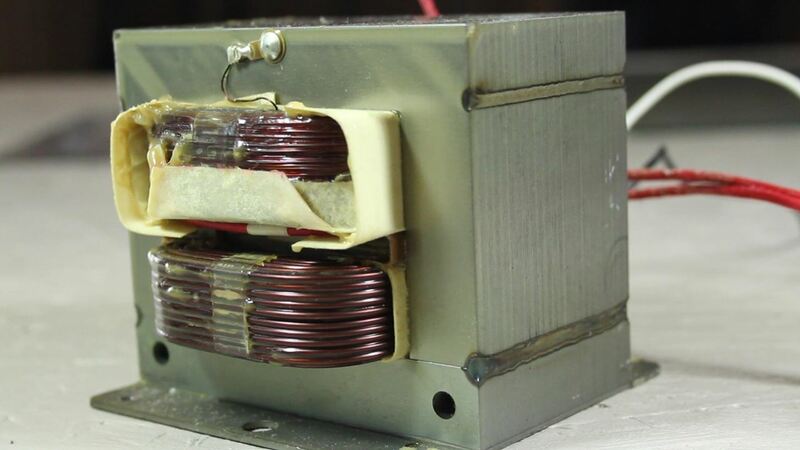 There likely won't be a spark because most microwaves have a resistor built into the capacitor to safely discharge is when it is off. Hope this helps! 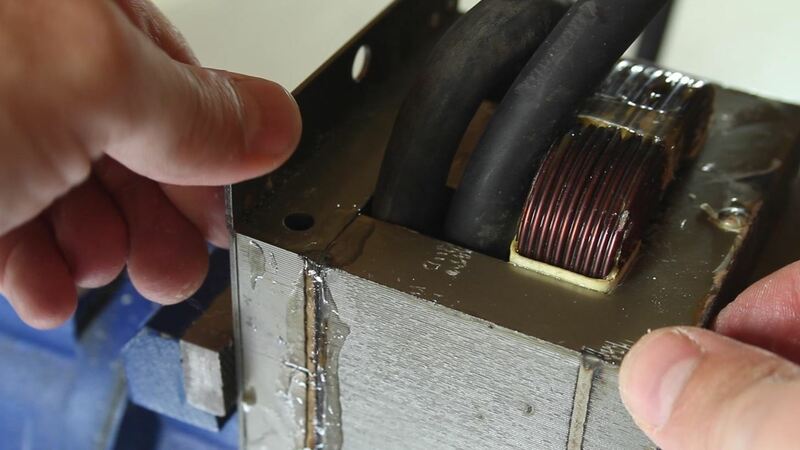 The best way of discharging capacitors are using soldering iron or wire with bulb and touch the two wires in each pin with in a second it's discharged. 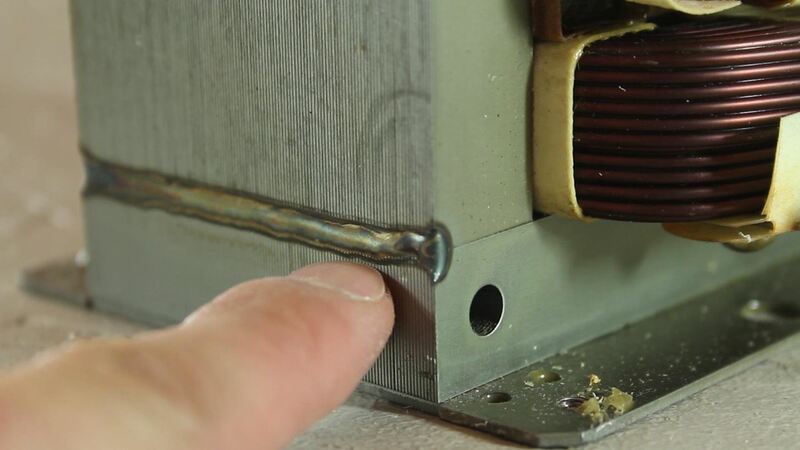 note: do not short the two pins with a metal or a screwdrivers totally busted. Barium's not carcinogenic - otherwise the "barium meal" wouldn't be a very clever way to diagnose digestive problems. I think you mean beryllium oxide. 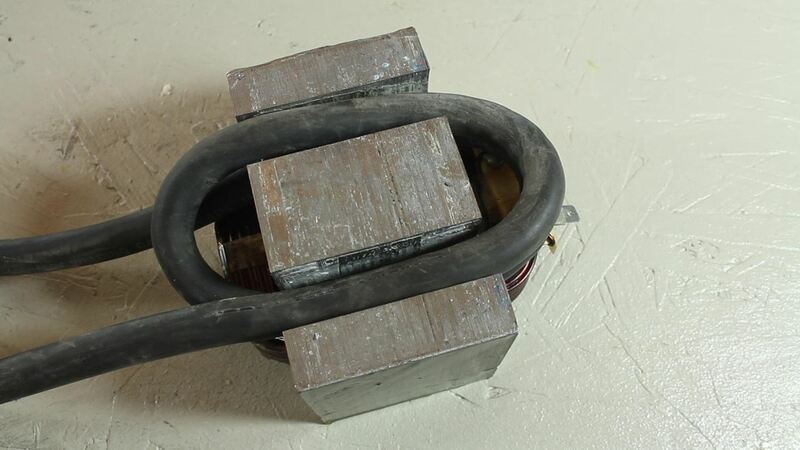 This is the ceramic substance used in magnetrons. 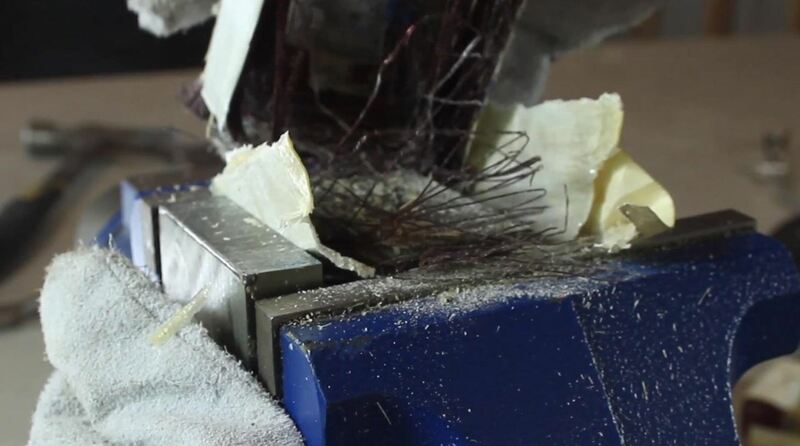 According to Wikipedia "Once fired into solid form, it is safe to handle as long as it is not subjected to any machining that generates dust. Beryllium oxide ceramic is not a hazardous waste under Federal law in the USA." So I don't think you need worry too much about just touching it. If you don't know what dangers are involved I suggest you don't attempt it. 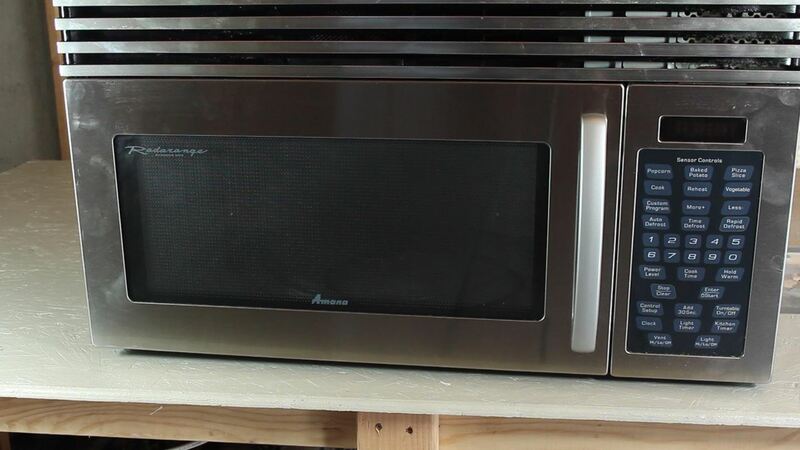 Why only the transformer in the microwave can do that? Can we use another or self create a transformer like that? my microwaven primary side was burned . so i have difficult to make this . any body can tell me . 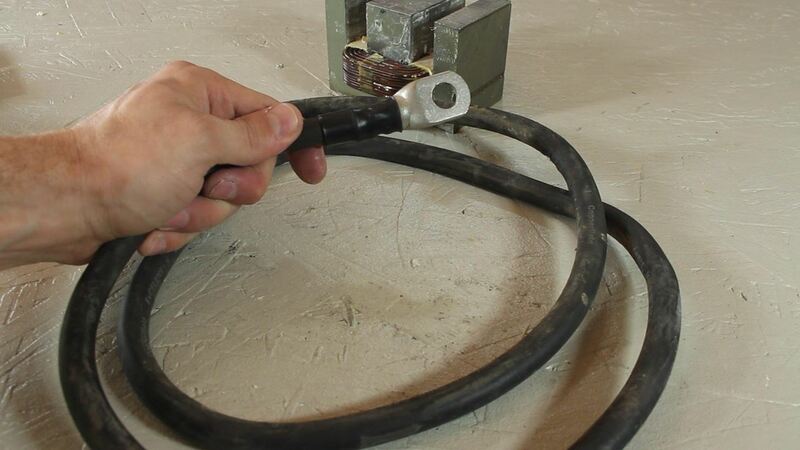 how many turn need for primary( for input 220 volt supply ) side and which gauge wire ? For primary turn 69 times and you'll need a thermometer, a glass one of course.